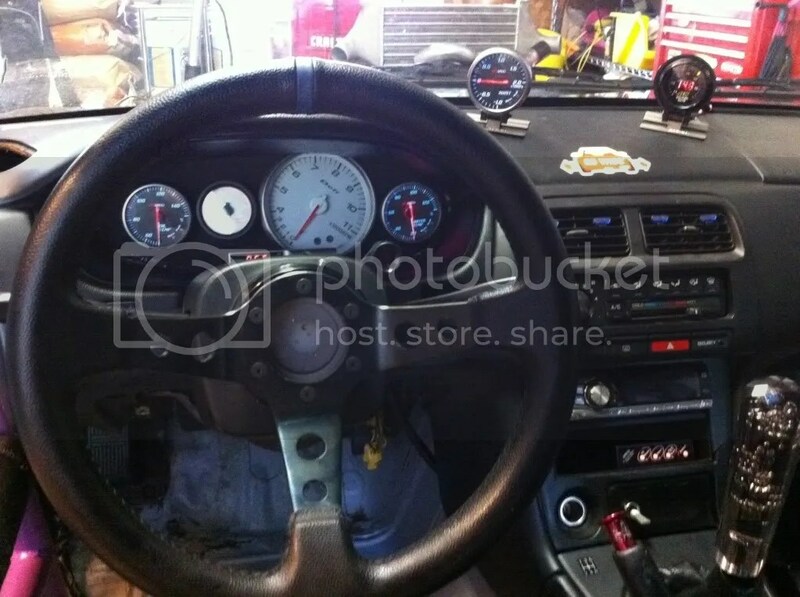 It’s been a long 9 months of work on the S14. As of a few weeks ago, the AEM is tuned and produced 507 wheel horsepower uncorrected. 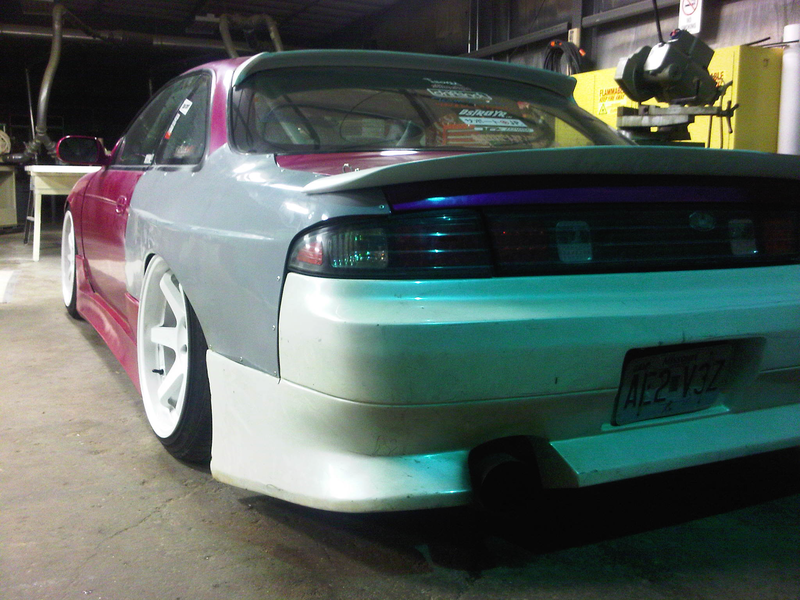 Wednesday night, widebody/aero were mounted, finishing up with an alignment on Thursday. The entirety of this project has been a team effort. Thanks to everyone who helped me along they way from wrench time to full on fabrication. Here are a few photos to display the finished car/engine. All for now. Myself and a bunch of other CF are headed to Nashville, Tennessee for Import Alliance this weekend. I’m excited about my first event of the year and finally driving the Super Speedway roadcourse! 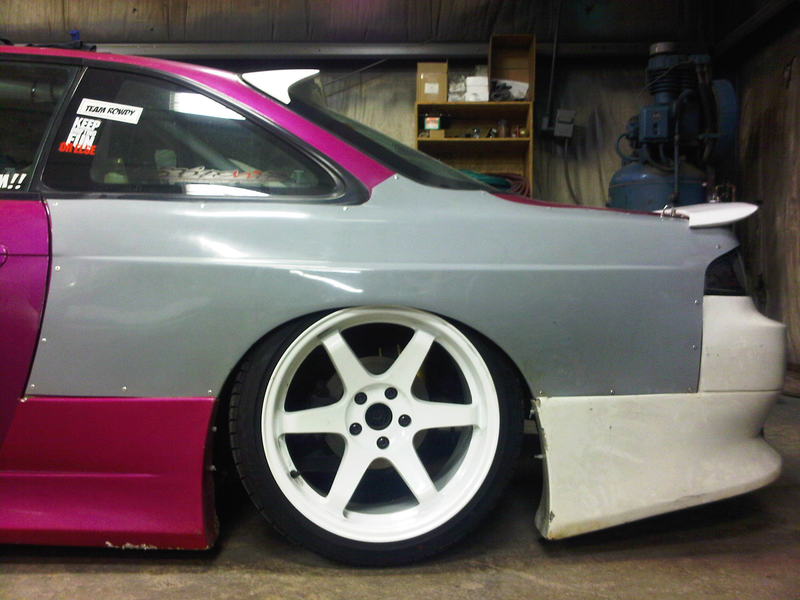 Pink car got some more lowers! Yay! Tomorrow, we’ll get to work on lowering the front, and banging the exhaust around so it doesn’t drag the ground too much. 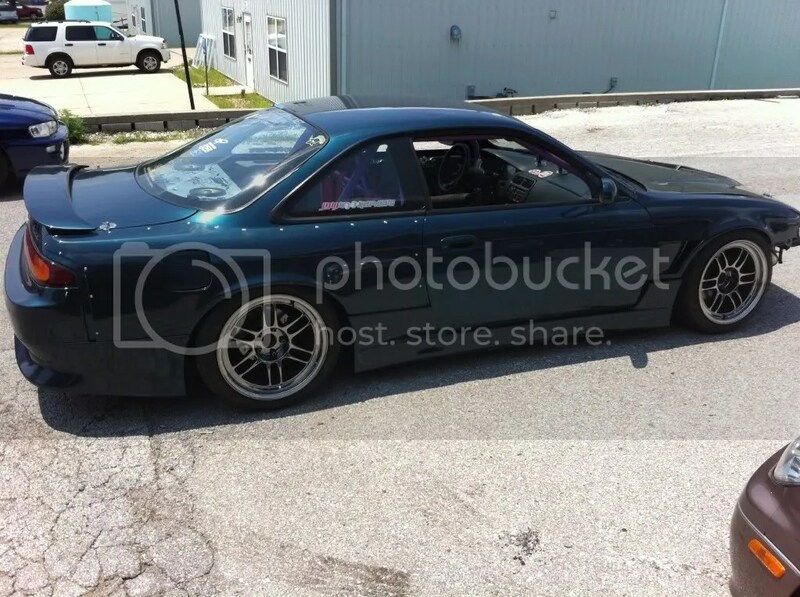 This coming weekend is Import Alliance in Nashville, time to go hit the road course again! Hell yeah! There will be several CF cars, and even more dudes, so come say hi!